Anyone who knows me is aware of my obsession with makeup and skincare. 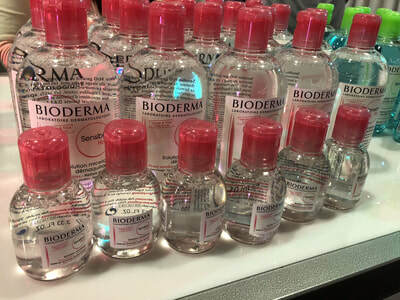 I have a meticulous routine of cleansing, toning, applying SPF, slathering on oil, and then moisturizing my face in the morning, followed by primer and a lengthy makeup routine. Some may say that it’s “too much junk” on my skin, but I see it as a way to improve my face’s natural elasticity and brightness. Besides, all that “junk” keeps my skin breakout-free. I’m constantly looking for new products to explore and brands that are inventing innovative products for the world to try. 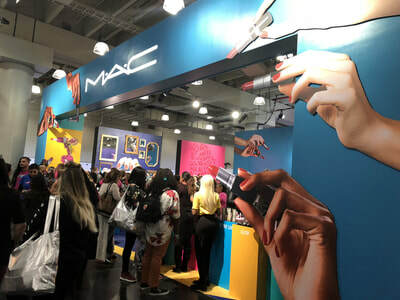 That’s why I decided to attend Beautycon, a two-day festival for beauty-lovers that features both renowned and small-scale brands trade show style. 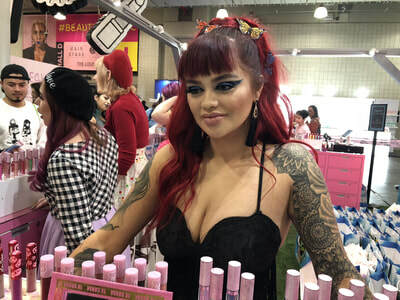 Attendees are able to stroll around numerous halls in search of their newest cosmetic obsession; not only do you get the opportunity to buy the product right then and there, but you receive a myriad of free samples as you walk from booth to booth! Read below to hear about my personal experience at this event in NYC (they hold the festival in London and Los Angeles once a year as well). For the event, I had both a talent wristband and an all-access wristband. 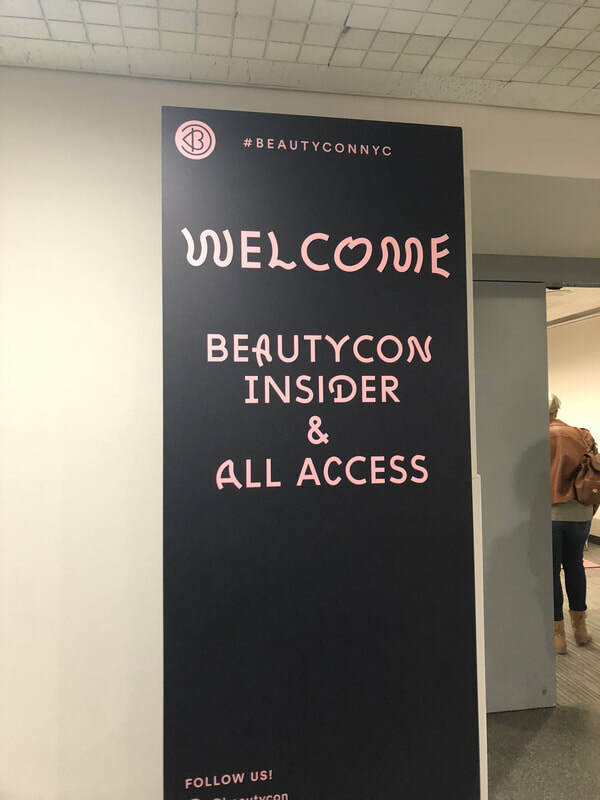 The all-access pass allowed me to enter the Javits Center two hours before general admission, and also granted entry to the Creator Gifting Suites! I filled three goody bags with products in 20 minutes! Some of the items I picked up that I’m excited to try include Sally Beauty’s newest hair care line, Shea Moisturize’s Daily Hydration Body Wash, and Lime Crime’s holographic lip glosses. 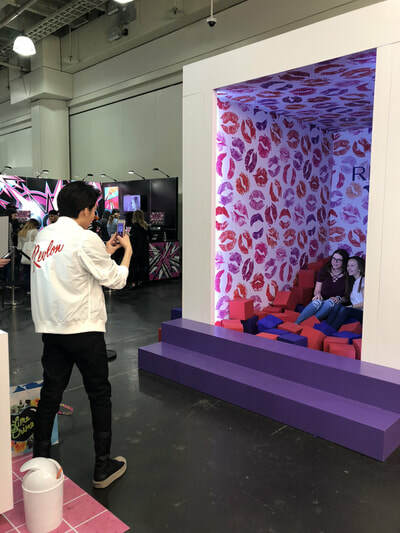 In the corner of the suite, there was also a station which they called the “Halo Room,” where influencers were filmed by a professional photographer for a mini music video in a pink and yellow room! I made sure to do the video both days so that I could get both outfits filmed ;-) Zendaya and Kandee Johnson also seized their moment in front of the video camera! 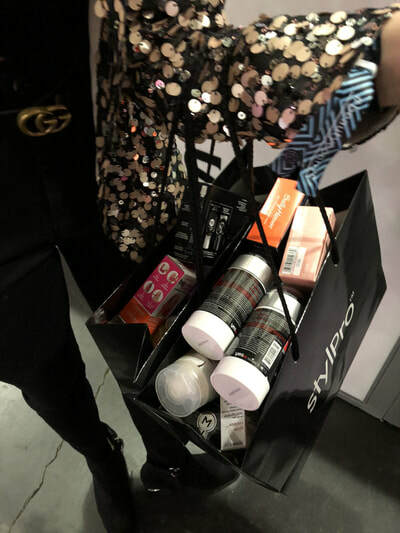 After sweeping the tables full of products in the gifting suites, I went back to the all-access room to drop off my bags. There was a concierge and private coat check in there all day just in case we needed anything, as well as waters and couches to rest our tired feet on. Trust me, after wearing six-inch heels during day two, taking a break in that room once in a while was a necessity! 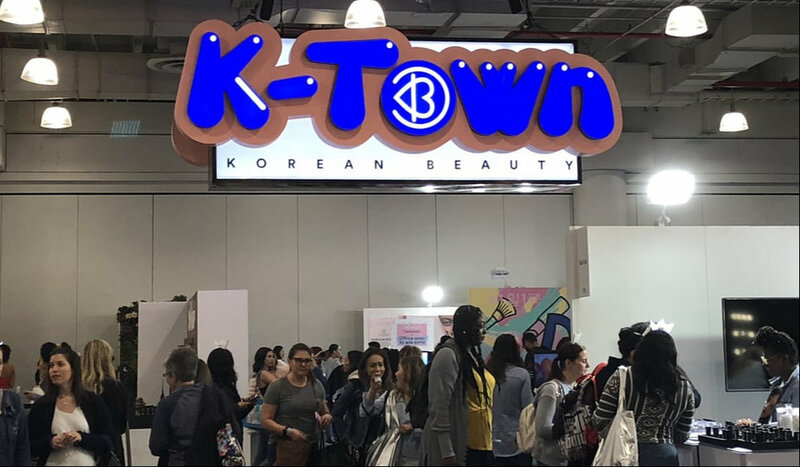 Before hitting all the halls--which included rooms dedicated to Korean Beauty, Wellness, and more---I stopped by the Beautycon merchandise shop to spend my $100 gift card that came with my all-access pass. 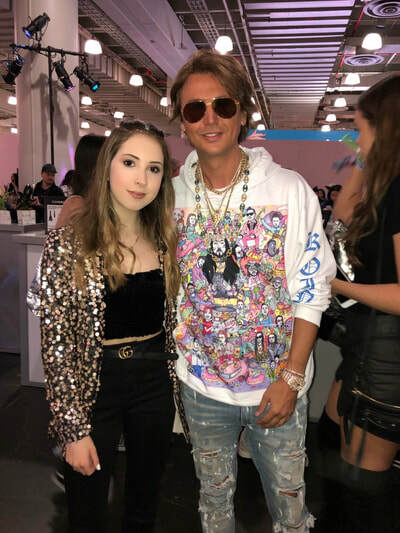 Since I was already given a cropped pink jacket with the Beautycon logo on it when I entered the VIP room, I decided to purchase a super-cool black hoodie with “Steele” written on the sleeves from Amanda Steele’s clothing line. I also bought a temporary tattoo of pink lips with the Beautycon logo on them from Inked by Dani. Super cute! Now it was time to get more makeup! 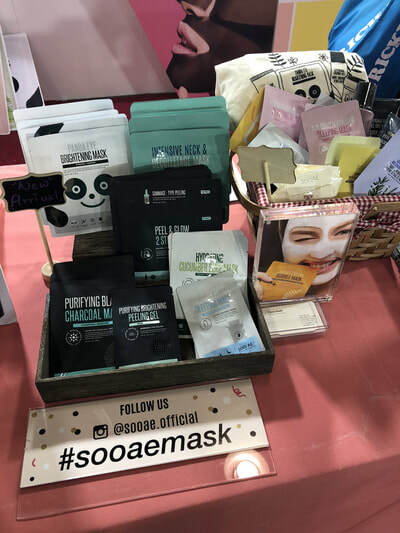 I spent hours promenading from booth to booth learning about brands that I could feature on my blog and sponsor on my social media. I was astonished to hear that a brand from Germany called The Sign Tribe was promoting their Nailfix & Chill Nail Polish Eraser cream that doesn't have the same acetone smell as a normal polish remover. In fact, their tube of remover actually smelled amazing! I also was introduced to polish guards from Sally Hansen that prevent smudging when you do manicures on yourself...pure genius. I know it will help me tremendously when I paint my nails with Floss Gloss’ new holographic nail polishes I scored during the day! At Amorepacific's booth, I tested their essential creme fluid (aka moisturizer) on my hand to feel its texture. It felt like a cloud compared to heavier formulas I’ve tested from brands in the past! 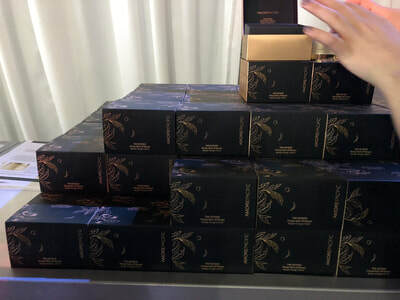 Pond’s and Olay also gave me their new skincare products to try out. I was thrilled to receive Pond’s Cold Cream Cleanser because I knew it would take off the globs of makeup on my face that day; even better, my skin would get maximum benefits I followed with Olay’s Luminous Whip Face Moisturizer. As for makeup, I acquired Urban Decay’s All Nighter Makeup Setting Spray, Rimmel London’s Wonder'Fully Real Mascara, Almay’s Make them Jelly Highlighter (yes, jelly highlighters exist! ), and more. I don’t know which to try first! 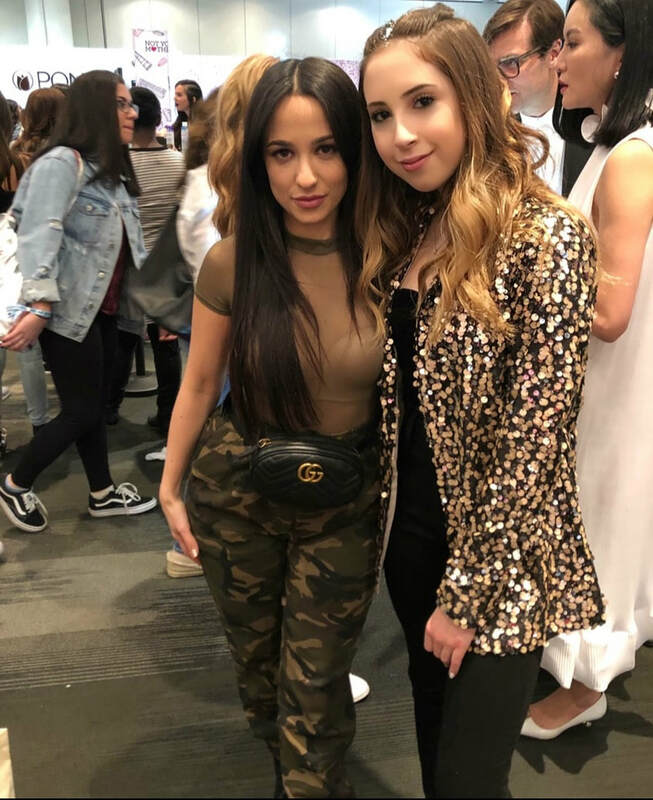 In between my shopping shifts, I made sure to stop by the social lounge to meet some of the world’s top beauty influencers and social media stars, including He Flawless, Tessa Brooks, Nikita Dragun, Connor Franta, and Sylvia Gani. 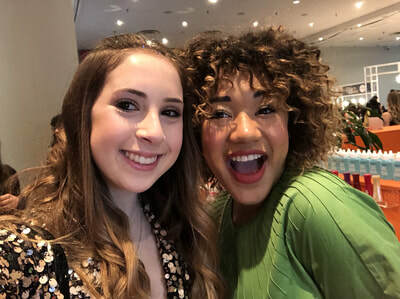 I even got to catch up with my friend Nia Sioux, who came to New York for the weekend to make an appearance at the event! I also hung out at the Glam Masters booth, where cast members from the Lifetime makeup competition show roamed around all day. I loved chatting with Vic Brocca (you can read my interview with her here)--we shared tons of laughs about the day and discussed our collab that’s coming up in the future! 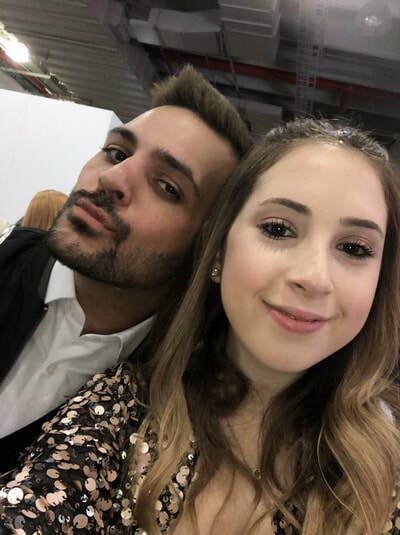 I also talked to Julia Dantas, who was the third runner-up on the show, and Argenis Pinal, the winner! Argenis showed me the creme color sticks from his collaboration with KKW Beauty (the show’s grand prize)--I swatched Comic King, a stunning, gold hue on my hand and I was in awe! When I got the chance, I also checked out some of the incredible panels that the event had to offer. 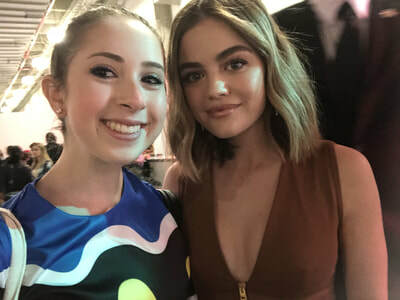 I had a front row seat due to my all-access pass, so I could take in the wisdom from celebs like Zendaya, Danielle Brooks, Lucy Hale, Paris Hilton, and the judges of Glam Masters up close. I even got to pose for a pic with the Glam Masters cast afterward, including Laverne Cox, Kandee Johnson, Zanna Roberts Rassi, Diana Madison, and Argenis! The line was absolutely insane to get a pic, but Vic (my hero of the day!) took me by the hand, slipped me under the rope, and placed me at the front of the line. Talk about a true friend! 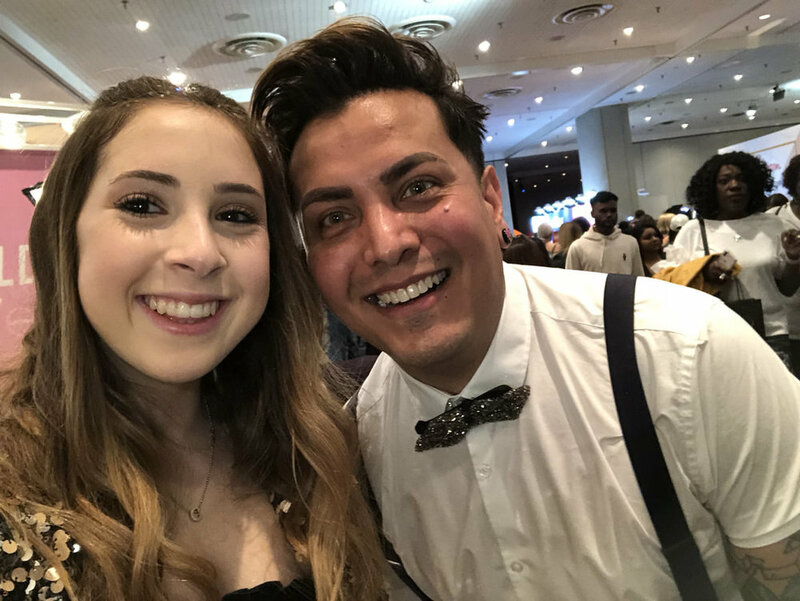 The ultimate highlight of my weekend, however, occurred during the second day of Beautycon, when my friend Taylor Felt (she’s an incredible singer! 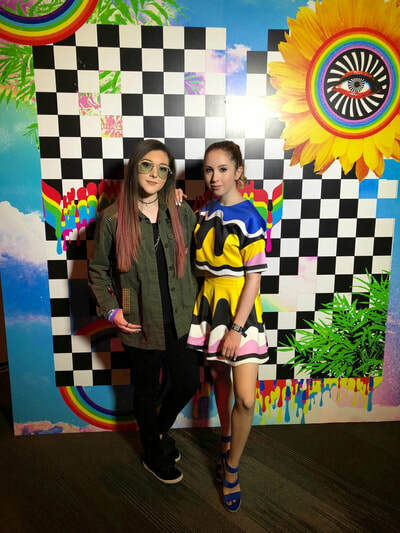 Check out her music mash-ups here) and I got to walk the red carpet in front of Zendaya! We posed for paparazzi and did interviews with J-14 Magazine, Snapchat, and Townley Girl, to name a few! I had a blast meeting fans afterward and taking tons of selfies. The spirit and inner beauty I noticed when I spoke to each of them was something I’ll never forget! After reading about my experience, you must now understand why this was undeniably the best weekend of my life. Not only did I get so much makeup that it took up my parents’ entire king-size bed, but I met awesome celebs, made new friends, and met all of you!I am so grateful to have such a strong support system behind me as I continue to grow and expand my blog. 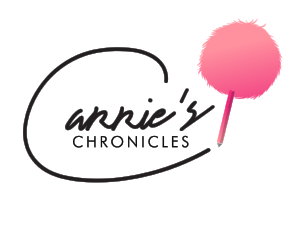 #CarriesChronicles has big things coming up in the future...just wait and see.